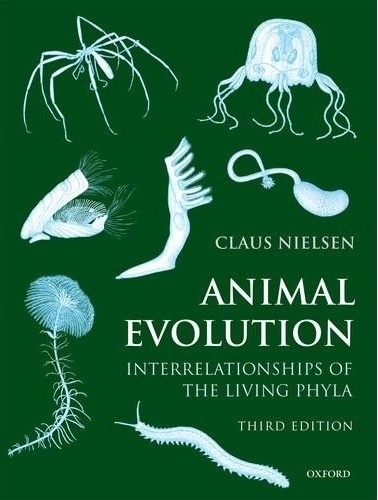 Animal Evolution provides a comprehensive analysis of the evolutionary interrelationships and myriad diversity of the Animal Kingdom. It reviews the classical, morphological information from structure and embryology, as well as the new data gained from studies using immune stainings of nerves and muscles and blastomere markings which makes it possible to follow the fate of single blastomeres all the way to early organogenesis. Until recently, the information from analyses of gene sequences has tended to produce myriads of quite diverging trees. However, the latest generation of molecular methods, using many genes, expressed sequence tags, and even whole genomes, has brought a new stability to the field. For the first time this book brings together the information from these varied fields, and demonstrates that it is indeed now possible to build a phylogenetic tree from a combination of both morphology and gene sequences. This thoroughly revised third edition of Animal Evolution brings the subject fully up to date, especially in light of the latest advances in molecular techniques. The book is generously illustrated throughout with finely detailed line drawings and clear diagrams, many of them new.